The 639 Foil Undertone Glass Vessel Sink is manufactured using fully tempered glass, which is non-porous, easy to clean and resistant to stains and odors. 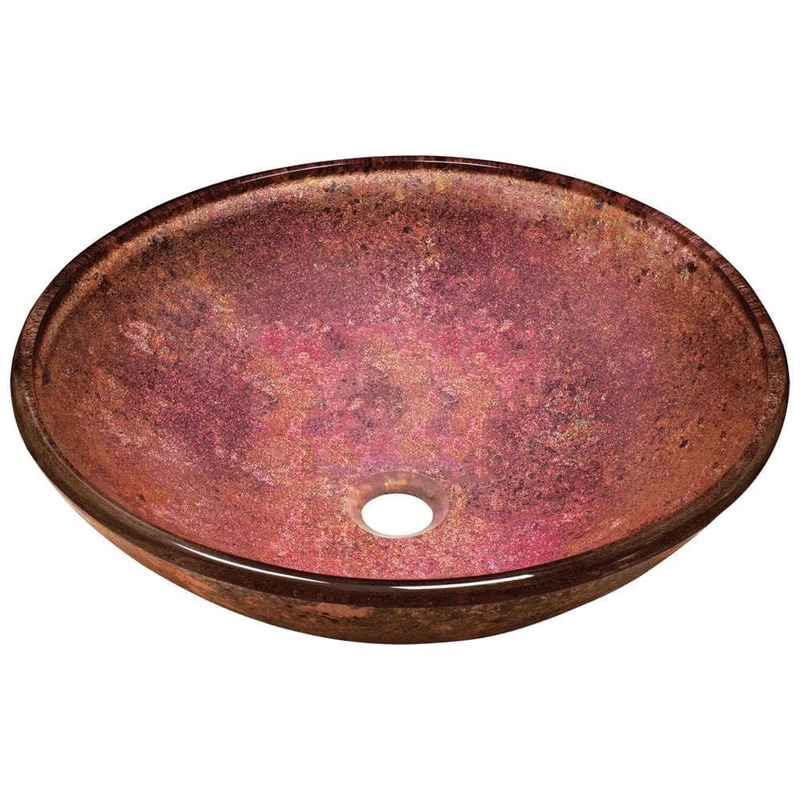 This vessel sink has a vibrant foil underlay containing pink, gold, yellow and many other colors that will transform with the direction of light. A corresponding Glass Waterfall Faucet is available with this sink, which includes a matching disc and your choice of chrome, brushed nickel or oil rubbed bronze faucet. The overall dimensions for the 639 are 16 1/2" Diameter x 5 3/4" Height and an 18" minimum cabinet size is required. As always, our glass sinks are covered under a limited lifetime warranty for as long as you own the product.